Welcome to the website for Harvard Climate Justice Coalition’s lawsuit against the Harvard Corporation. 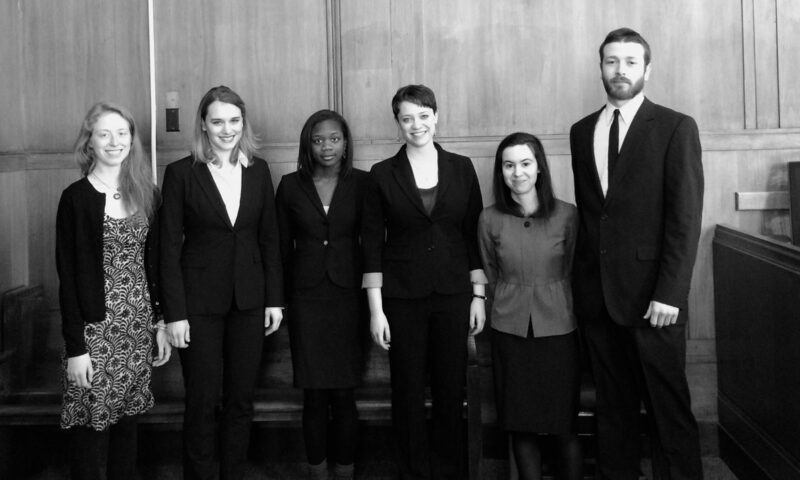 On November 19, 2014, students at Harvard University filed a lawsuit to enjoin the Corporation’s investments in gas, oil, and coal companies. Update on May 4, 2017: The Harvard Corporation, through its financial management outfit Harvard Management Company, recently announced that it will be “pausing” some investments in oil, gas, and coal companies. While the University’s announcement is disappointing for its failure to acknowledge the compelling social, political, moral, and scientific reasons for fossil fuel divestment, the move is a step in the right direction. Harvard Climate Justice Coalition thanks its supporters and allies for their unwavering commitment these last few years and looks forward to further progress in the future. Update on January 8, 2017: Video of the June 7, 2016 Appeals Court hearing is now available here. Members of the Harvard Climate Justice Coalition have launched Climate Defense Project, an organization that provides legal support to the climate movement. Learn more through our Facebook page, Twitter (@Climate_Defense), and website.